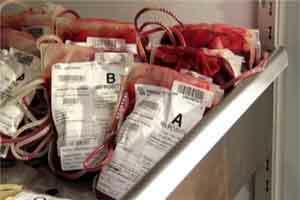 Kolkata: Kolkata Municipal Corporation (KMC) is setting up its first blood bank to be located in South Kolkata. Councillors of all wards of the corporation organised blood donation camps all through the year, and now these blood units would be stored at the new blood bank. The advantage being that the units would be available at the State Government-determined rates, which are lower at those at private hospitals and blood banks, according to official sources. The chemical treatments required for proper storage of the blood and blood components would be carried out at private hospitals KMC would tie up with. This step is meant to help not only the city residents but people from all over the state, especially the poor, who cannot afford high prices.